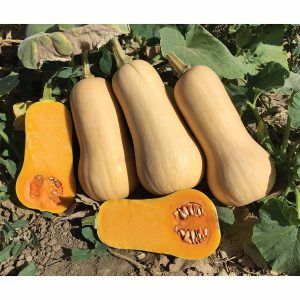 Narragansett F1 has a thick neck with a slight bell shape and beautiful tan coloring and weighs 5-6 lbs. Tolerant to ZYMV and Powdery Mildew. 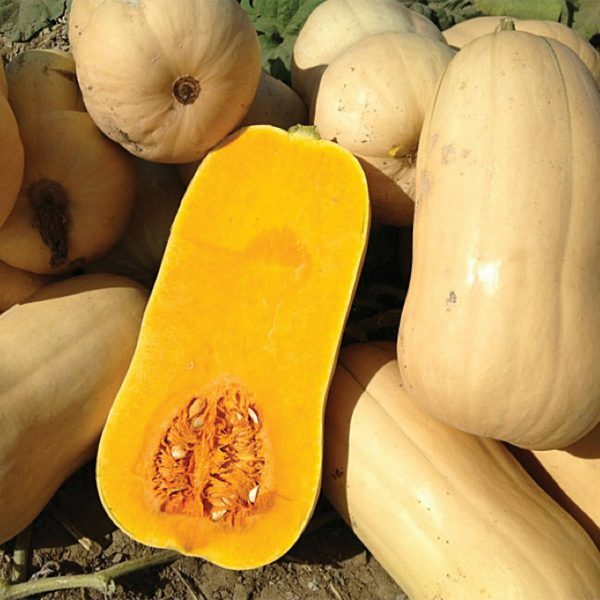 Narragansett F1 butternut squash features attractive, rich orange flesh within a beautiful tan skin. 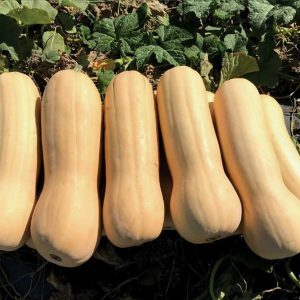 This squash is uniform in size and shape compared to other butternuts. Narragansett F1 also features outstanding yields and a full size vigorous vine. 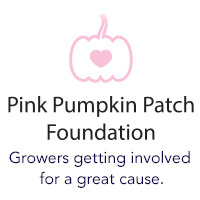 Great for fresh, peeling or processing markets.